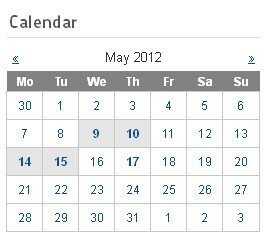 The RSEvents!Pro Calendar module allows you to display a small calendar with the event dates marked on it. The module can be downloaded from within the rsjoomla.com > My downloads section. Note that you need to have an active RSEvents!Pro license to be able to do this. To learn how to install the module, please refer to the installation tutorial. Module Class Suffix: the CSS class specified here will be applied to the module container. This allows control to individual module styling. Default ordering: this is the ordering criteria. If you have multiple events within a single day, these can be ordered by event name or start time. Default ordering direction: ascending / descending. Start day: calendar start day. This can be set to Saturdar, Sunday or Monday. Show full events: set whether to show or not fully booked events. Calendar type: All events / Featured events / Future events / Archived events / User events - choose which events to display inside the module. 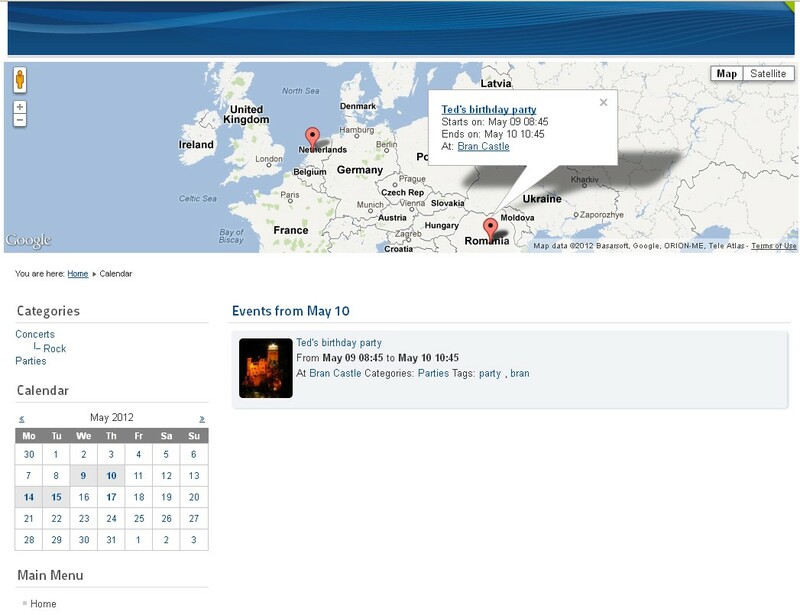 Future events will display events that will take place after a number of specified days. Selecting this option will add a Days field in which you can specify this number. User events will display only the events owned by the user that's accessing the website. Show archived events: if set to yes archived events will be included. Display events in calendar: if you have events that span over multiple days, you can control on which days these will be marked within the calendar. You can set them to: All days, Only the start days or Start and end days. Custom Itemid: links that will be posted via this module will incorporate the item id parameter as specified here. Event categories: categories that will be included within the event listing. Event locations: locations that will be included in the event listing. Event tags: the tags of the events that will be included within the listing.